The Camino Primitivo maps out the final steps of a more traditional Camino, through Galicia from Oviedo to Santiago de Compostela. The Camino Primitivo is considered to be the very first of the pilgrimage routes to Compostela and is believed to have been the route taken by King Alphonse II during the 9th century. In Medieval times, thousands of pilgrims, mostly coming from Asturias and the Northern Coast, were walking the Camino Primitivo to reach the Tomb of the Apostle Saint James the Great. Nowadays, the Camino Primitivo is the link between the Northern Way, which starts in San Sebastian and ends in medieval Oviedo and the French Way, which the Camino Primitivo joins in Melide. For those seeking some tranquility in this challenge, the Camino Primitivo is the quietest of our routes. 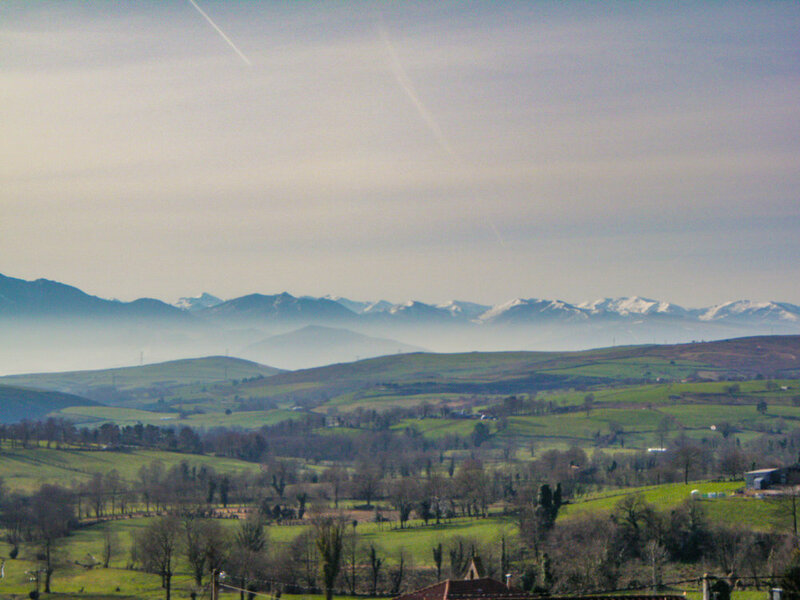 The Camino Primitivo is one of the most beautiful, and rewarding sections on the Camino de Santiago. It crosses a mountain range at 1100m above sea level where you can take in spectacular views of the Embalse de Salime (artificial lake), the River Navia and - of course - the surrounding mountains! You will be transferred around 18:30 from Santiago airport to your hotel. You will be booked into a hotel in the heart of the town. The rooms are en-suite. 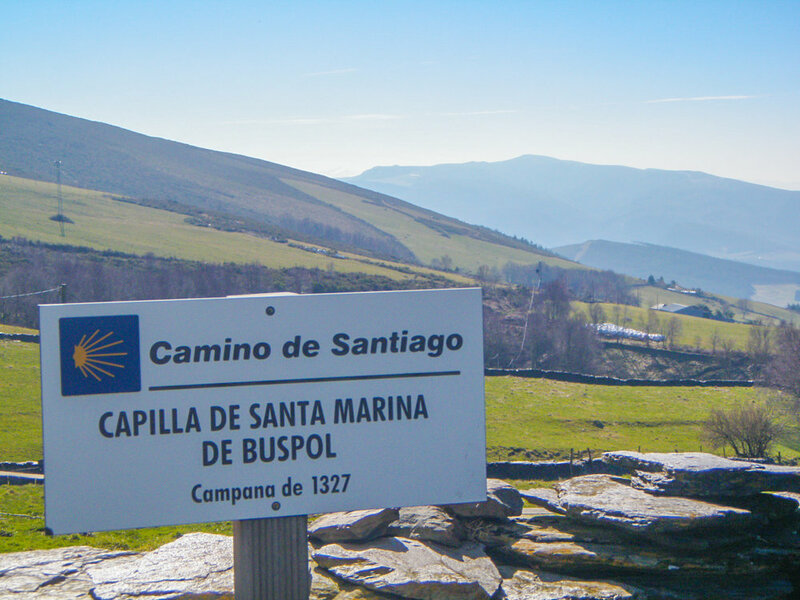 The Camino begins through lands famous for their slate mines as far as Paradavela. This attractive village, which retains much of its original character, is home to a number of "Pallozas" (primitive thatched dwellings) and other buildings of interest. Then, passing by the convent of San Francisco de Vilabade we arrive later in the pleasant town of Castroverde. After Castroverde, the Camino passes the abandoned village of Soutomerille, nestled in a landscape of great beauty. Finally, crossing farmland, the Way arrives in "Lucus Augusti", or Lugo, by the Gate of Saint Peter. 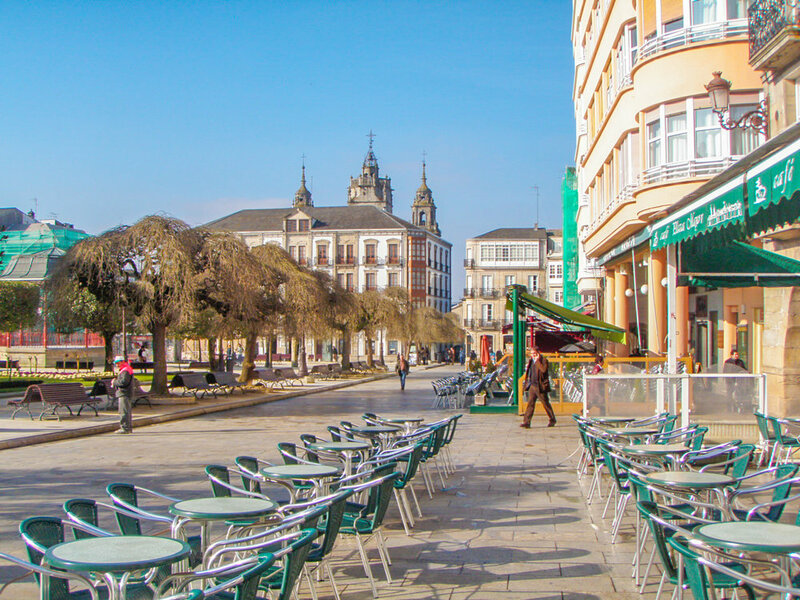 Lugo is the oldest town in Galicia! Take some time to explore it. After leaving Lugo through the Porta Mina, the oldest gate in the town walls, the Camino heads towards the old Roman Bridge and the quarter of San Lazaro. A couple of kilometres later, it passes Santa de Boveda; a national monument and a museum where early medieval paintings of the Iberian Peninsula can be seen. The route today consists of a mix of farmland and forest, an easy way to break yourselves into the Camino! On the road from the hamlet of San Romao de Retorta there is a Roman milestone, suggesting that this section of the present-day Camino was laid out following an ancient Roman road. Further on, you will pass a 13th-century Romanesque church, one of the many which are characteristic of the area surrounding Santiago. 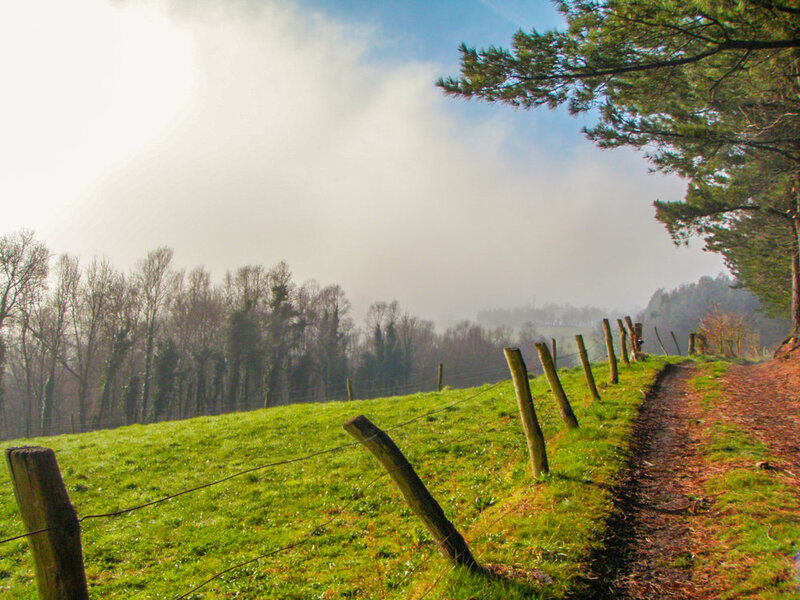 The Camino Primitivo follows ancient paths that are still in use today and connects an endless number of small rural villages such as Seixalbo, Xende, Ferreira, and Merlan. Finally, the Camino enters the province of A Coruna through the borough of Toques to the historic pilgrimage town of Melide. In Melide, we'd recommend you tuck into the traditional regional octupus dish, "Pulpo a la Plancha". The Camino today follows a forest track and crosses several streams, bringing you to the village of Boente and its church of Santiago. The next stop is the medieval village of Ribadiso, and finally Arza (389m above sea level). This small town has two churches that you can visit; Santa María and La Magdalena. This section of the Camino will pass through shaded woods, along streams and through sleepy villages. Take your time and visit the chapel of Santa Irena, with its unique statues of Santiago. The rest of the way to Rua/Opino is on a quiet country road. Nearly there! First, the Camino passes by Amenal, and then onto Lavacolla where pilgrims traditionally washed in the river before reaching Santiago de Compostela. The tall eucalyptus trees will line your route to Monte del Gozo (368m above sea level) with its huge modern sculpture, and views of the Cathedral of Santiago. You are on the "Mount of Joy" and can now start your final descent to Santiago de Compostela - success! After a well-deserved night's sleep, we'll have breakfast and the team will bid you goodbye.